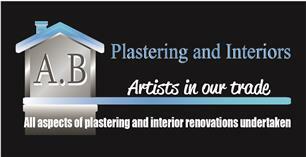 AB Plastering and Interiors - Builder, Plasterer based in Rickmansworth, Hertfordshire. Our experienced tradesmen have over 20 years’ experience in carrying out high-quality work. We pride ourselves on an exceptional rate of customer satisfaction, and this is reflected on our Checkatrade profile. We are based in Rickmansworth, Hertfordshire, but cover the Hertfordshire, Bedfordshire and Buckinghamshire areas. In recent years, we have expanded our services to include painting, decorating and damp proofing, while maintaining the same attention to detail and quality of service as we always have in our core business of plastering. The pride we take in our work and in our ongoing relationships with our clients is what drives us and maintains us as a business.